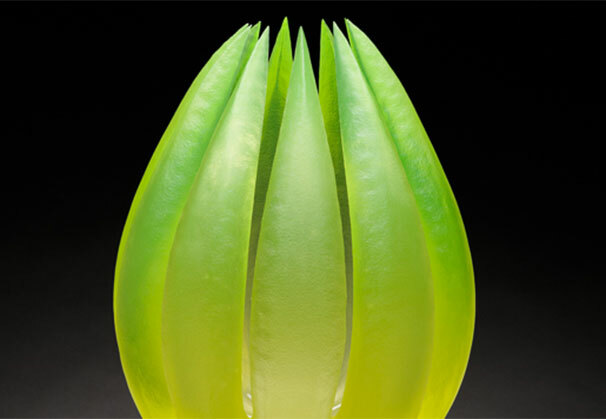 Paul Schwieder said, “I want to challenge the relationship that people have with glass." 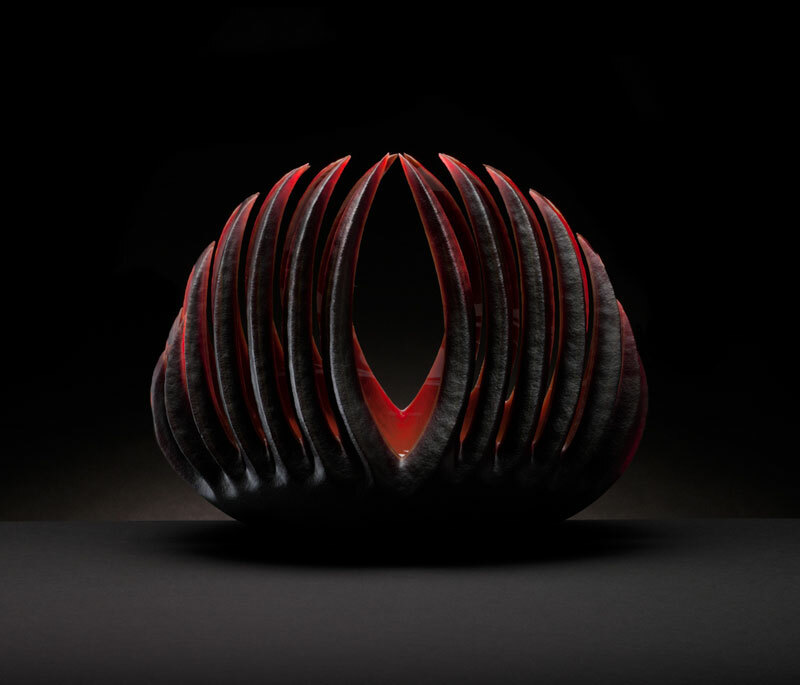 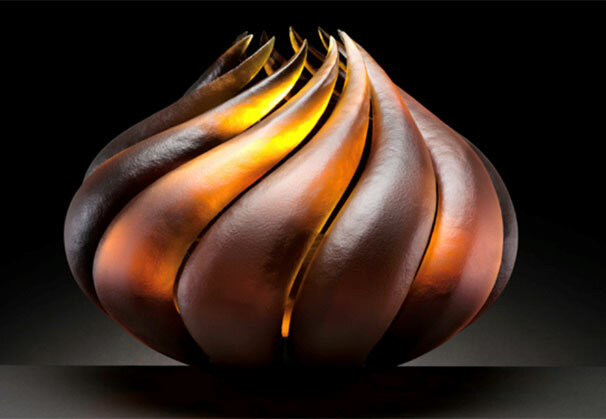 Known for organic shapes that are stunningly fluid, they audaciously challenge the solidity of his medium to come alive. 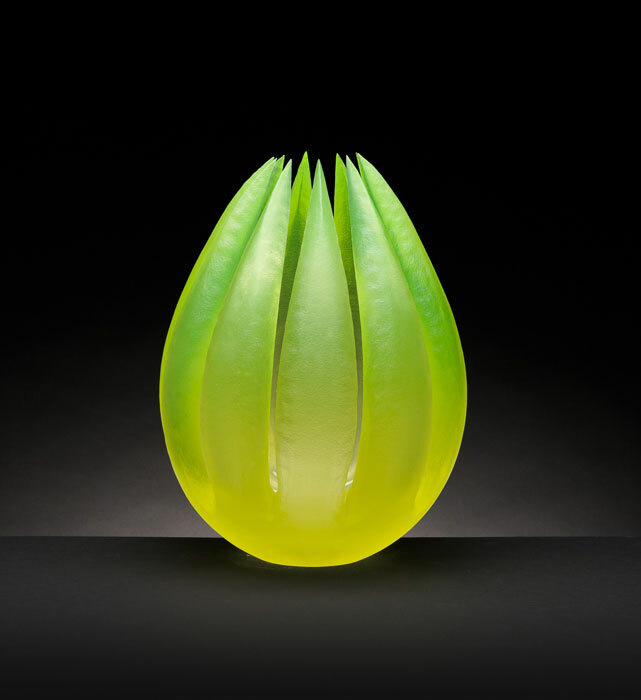 Paul starts with a “blank” blown glass vessel and removes areas of glass tiny chip by tiny chip until, by subtraction, his final work is revealed. 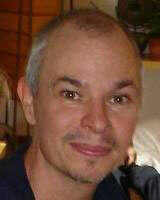 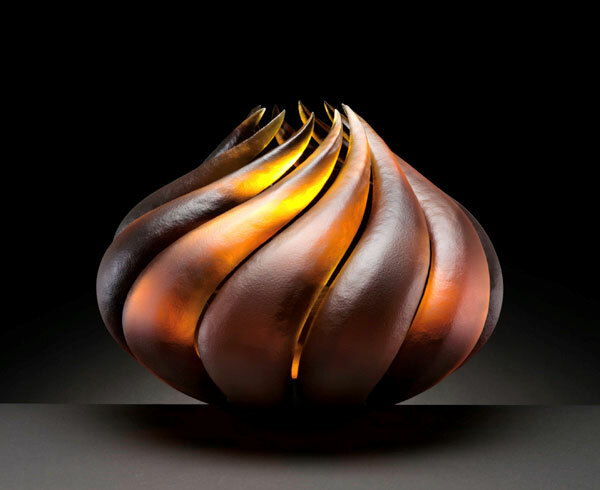 Paul is represented by David Anthony Fine Art in Taos, New Mexico. 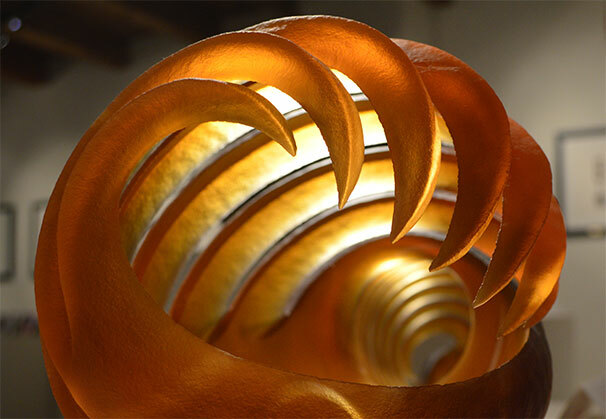 In sculpture, my goal is to create something alluring and magnetic, but also challenging to the viewer. 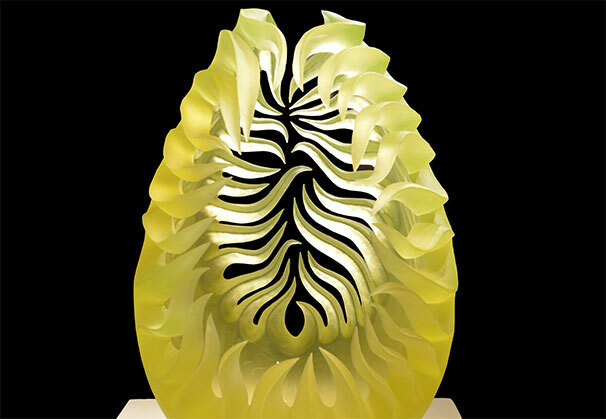 Can the viewer bring their own relationship with intimacy to the glass in front of them? 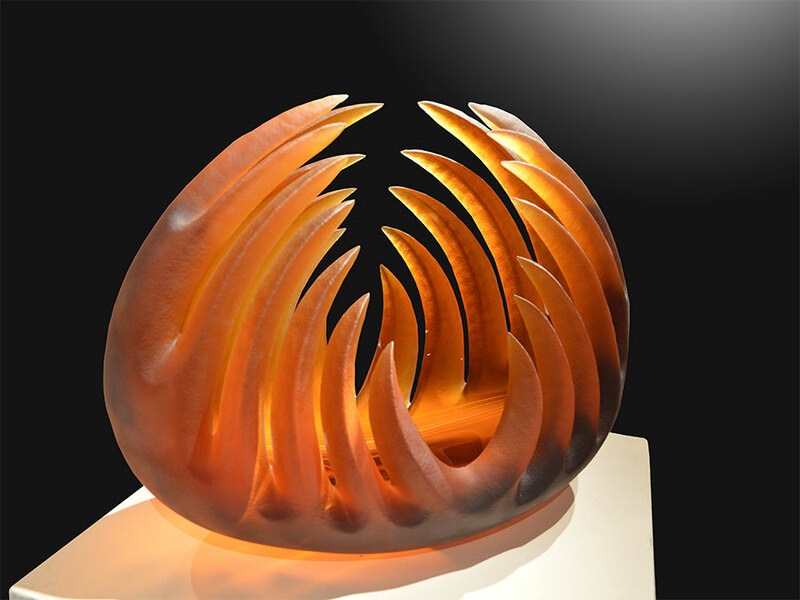 I use various forms and colors to both enhance and diminish the properties I hope to instill in the finished object. 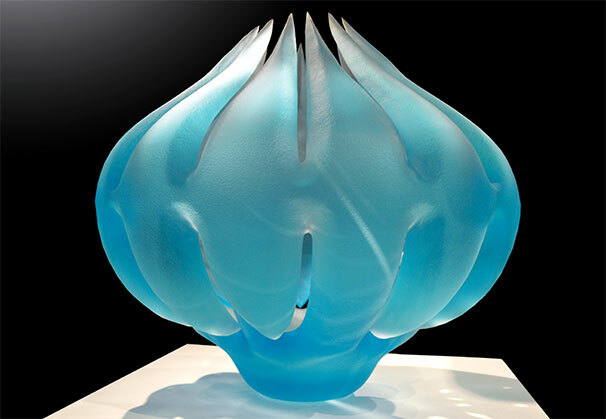 By studying these contrasts, I hope to make a beautiful and beguiling object. 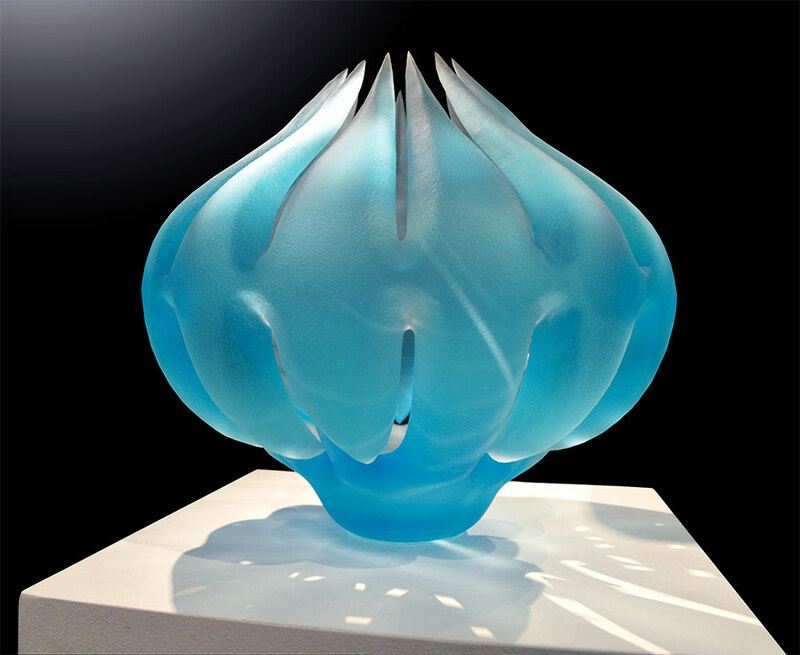 Perhaps this piece can then nudge the viewer towards a heightened awareness of their relationship to their surrounding environment. 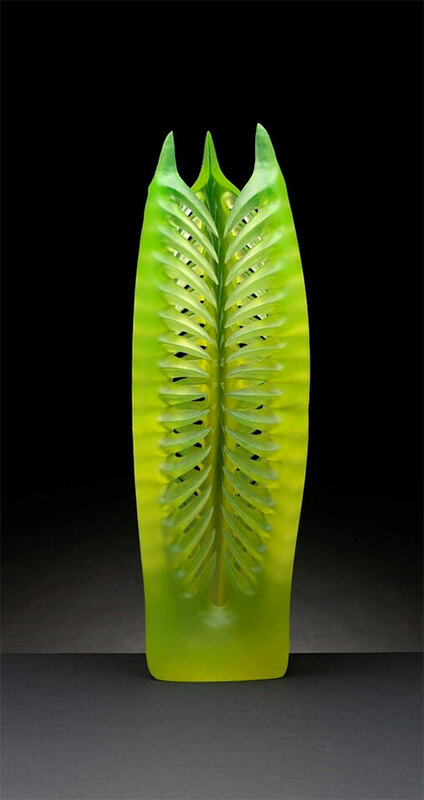 Born and raised in Canada, Paul Schwieder originally pursued furniture making until, he said, “I fell in love with a red haired girl who was studying glass art and changed my major.” Though the relationship was short-lived, Schwieder’s passion for glass was not. 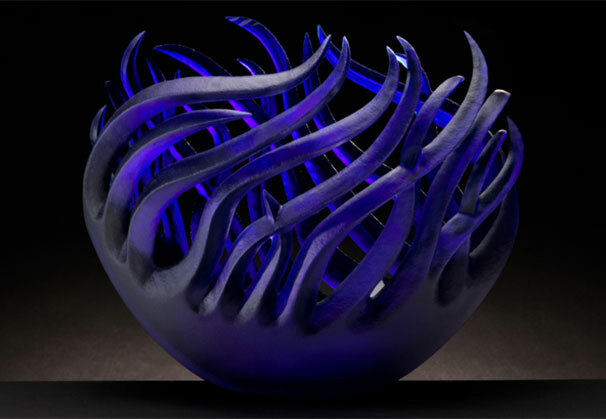 Once he graduated from the Sheridan College School of Craft and Design in Ontario, he sought employment at glass foundries throughout the world and instead found himself enrolled in the prestigious Orrefors Glass School in Sweden. 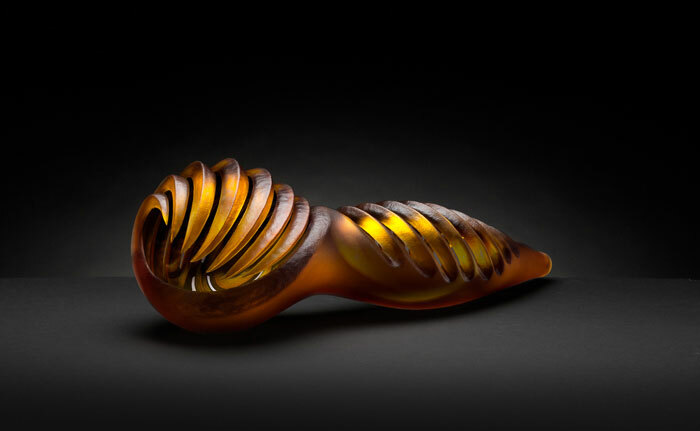 “I was comfortable with my ability to be creative, but wanted to really master the method of glassblowing.” As a supplement to his own studio work, the award-winning Schwieder maintains a staff of blowers located in Quebec and the Czech Republic who provide him with glass blanks manufactured according to his specifications. 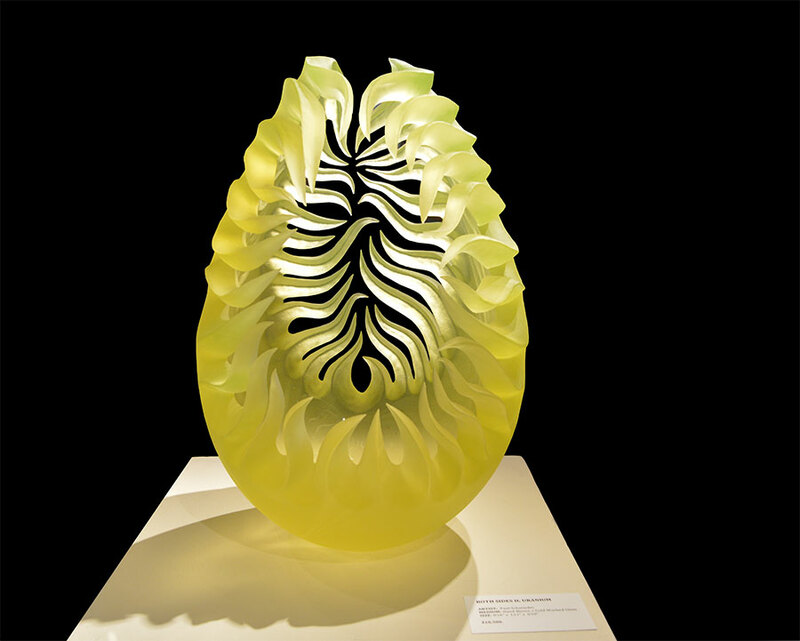 The blanks—the “canvasses” upon which Schwieder will be working—are then shipped to Sweden, where he now resides, and prepared to be finished with an exacting sandblasting process. 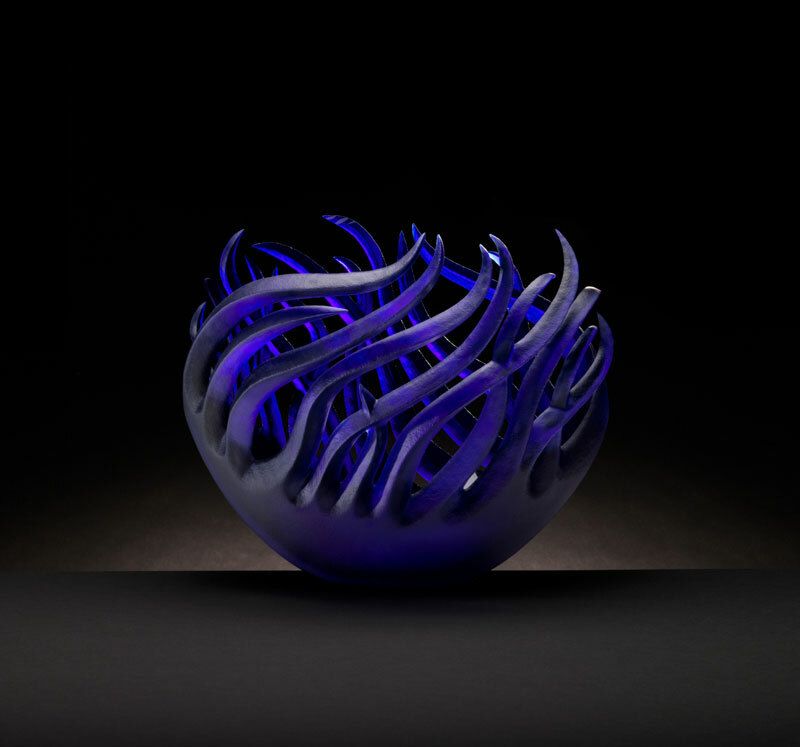 Using a ceramic nozzle that discharges aluminum oxide crystals at an astounding 50-60 psi, Schwieder painstakingly removes glass until his intended design emerges, an approach he likens to using a hammer and chisel on stone.The finished pieces, which can take one hundred hours to complete, are alluringly sophisticated in both their unique forms and complex dimensionality. 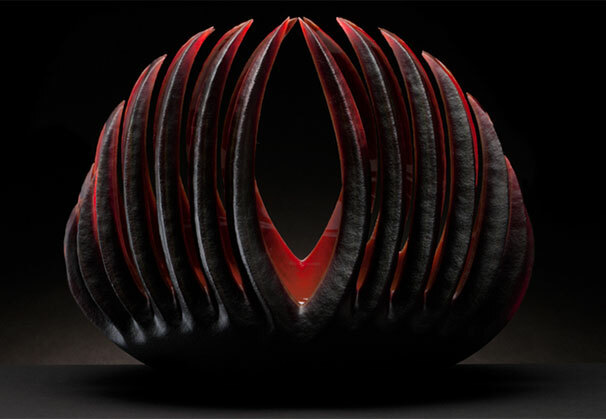 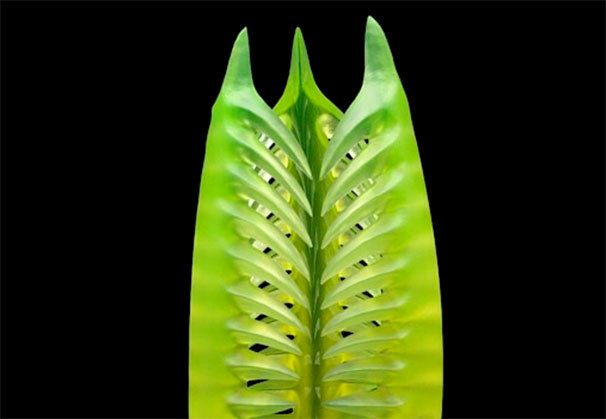 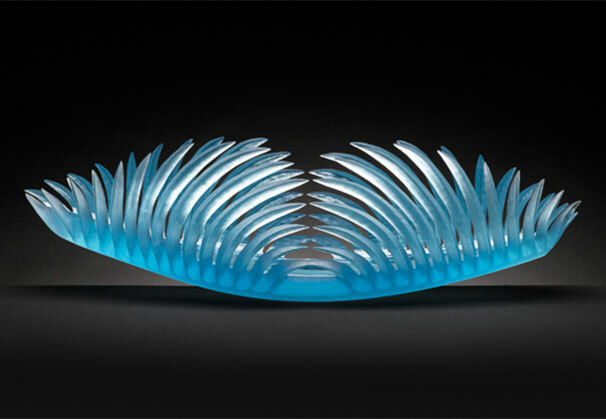 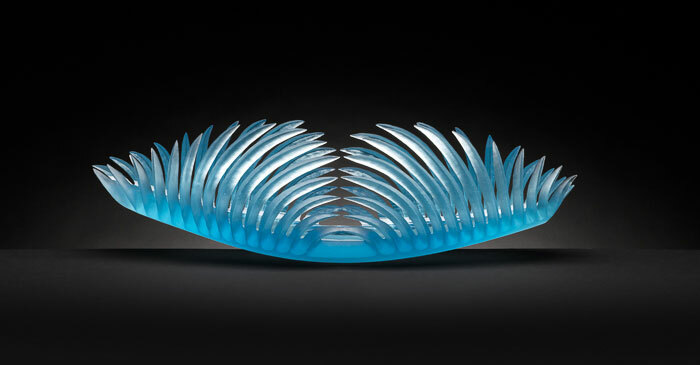 Paul Schwieder has, in his three decades of glassmaking, been featured in numerous international exhibitions and is in the public collections of the Metropolitan Museum of Art, New York; the Carnegie Museum of Art, Pittsburgh; the Corning Museum of Glass; the Museum of American Glass, Millville, NJ; and the Museum of Fine Arts, Houston. 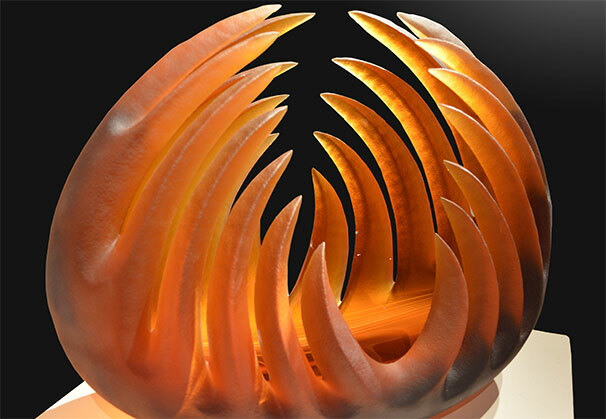 We are grateful to David Anthony Fine Art, Taos, New Mexico, for providing the Artist of the Month.